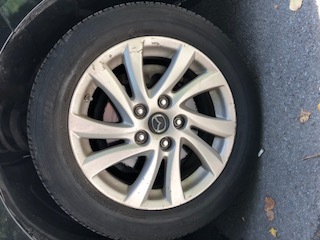 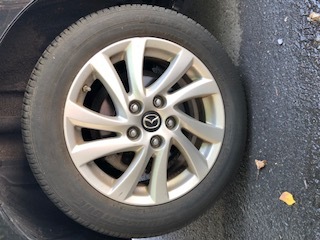 Selling my set of Mazda 3 wheels and tires. 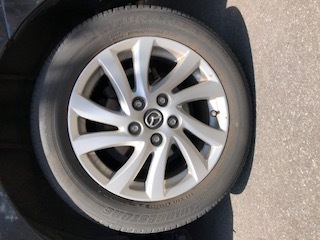 205/55/R16 89H. Still a good amount of tread life. 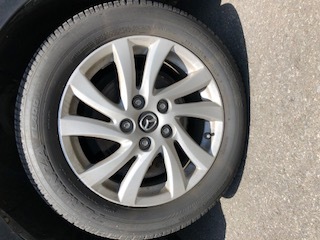 TPMS sensors and center caps are included.